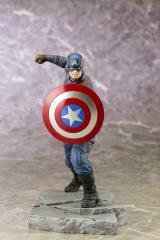 Note - Iron Man sold separately. 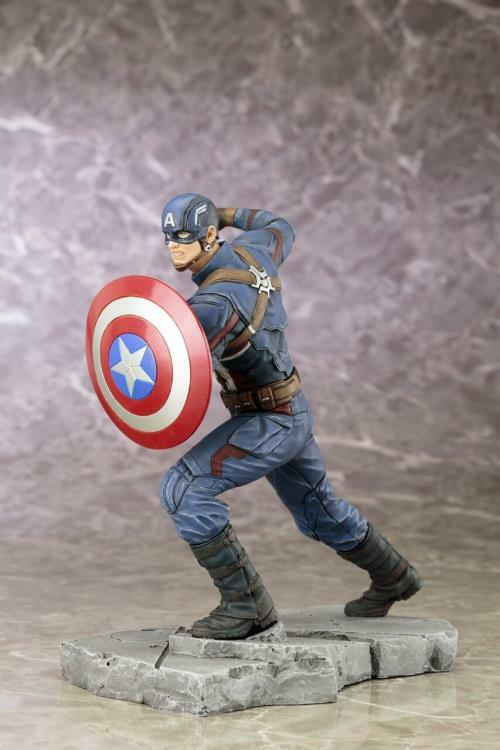 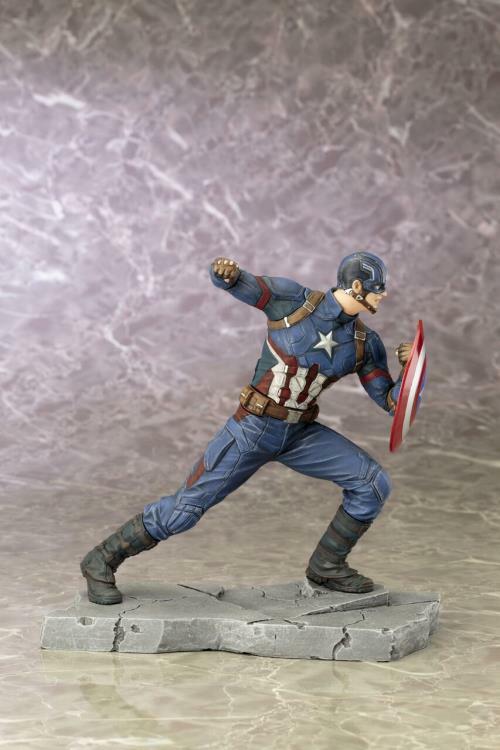 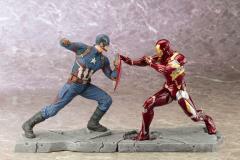 It’s hero vs. hero as Kotobukiya’s hit Marvel ARTFX+ series returns to the big screen with the upcoming mega-blockbuster Captain America: Civil War. 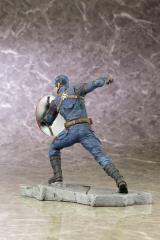 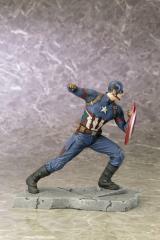 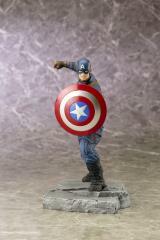 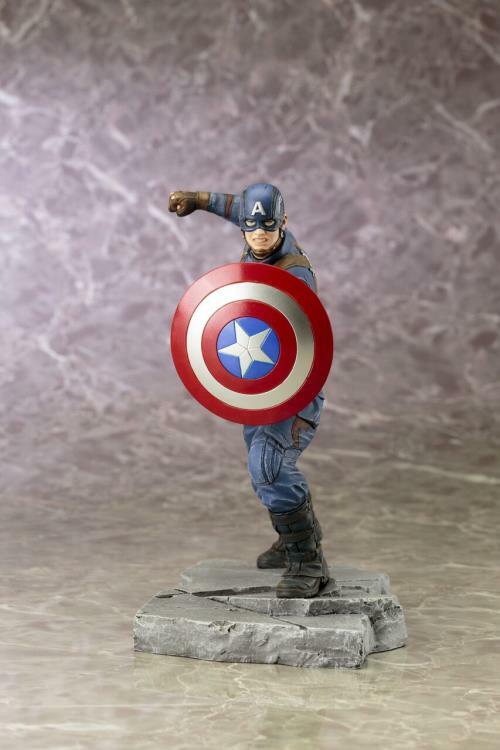 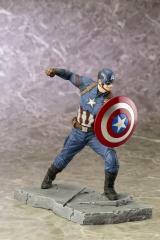 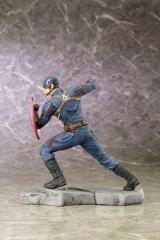 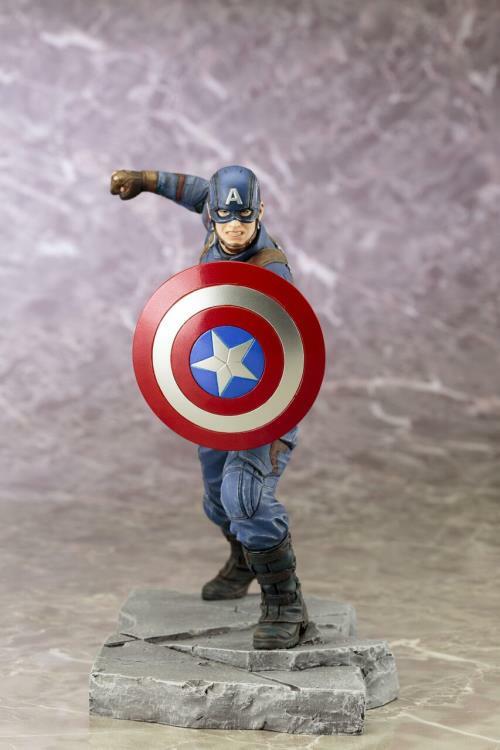 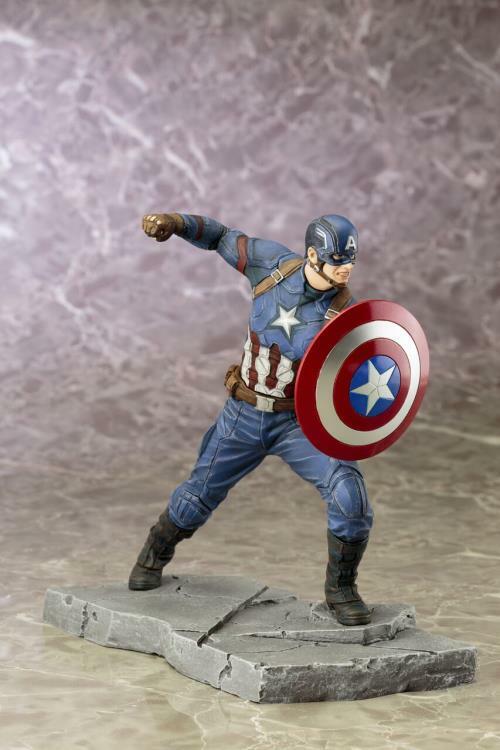 Two mighty characters headline the new collection starting with the star-spangled hero CAPTAIN AMERICA! 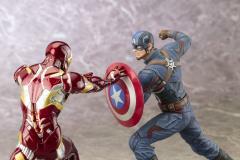 Fighting for freedom and his friends, Steve Rogers (portrayed in the Marvel Cinematic Universe by Chris Evans) heads into battle fearlessly even against his one-time ally and fellow Avenger Iron Man. 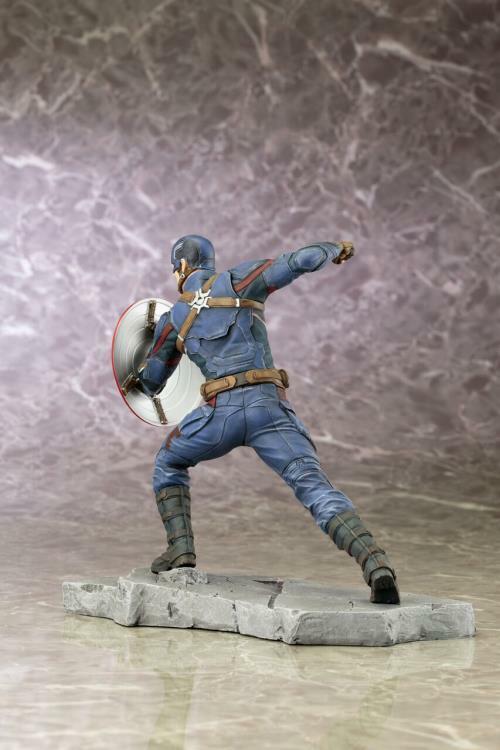 The pinnacle of human ability thanks to the Super Soldier Serum created by Abraham Erskine, Captain America charges forward in his distinctive uniform, his shield leading the way and one fist cocked and ready to strike for justice. 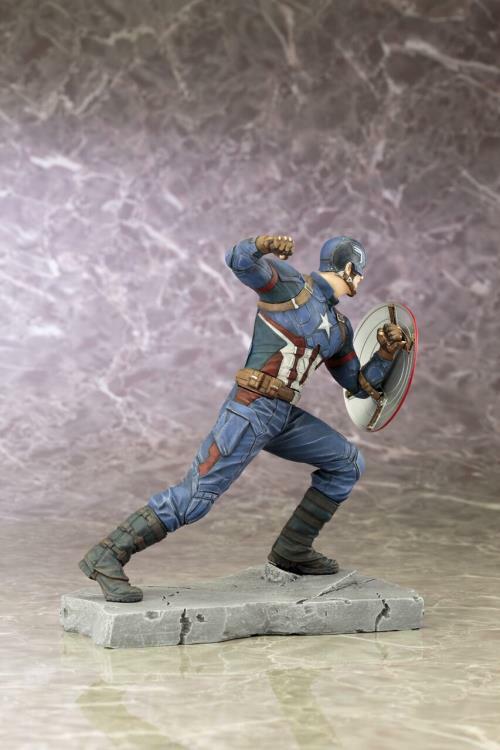 Rogers looks like he stepped right off the screen with an incredibly accurate sculpt capturing all of the intricate details of his patriotic red, white, and blue costume including the reinforced armor, straps, buckles, boots, gloves, and of course the “A” mask with chinstrap. 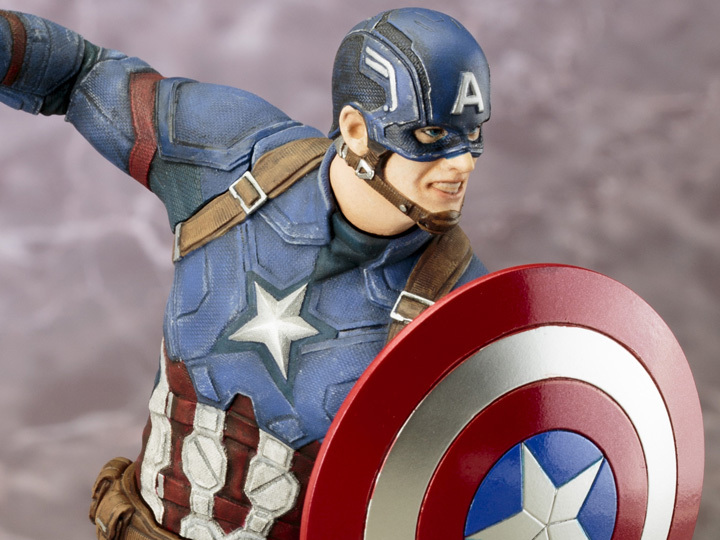 And while the colors on his costume are muted his iconic shield is bright with metallic paint and will immediately catch your eye in your Marvel collection. 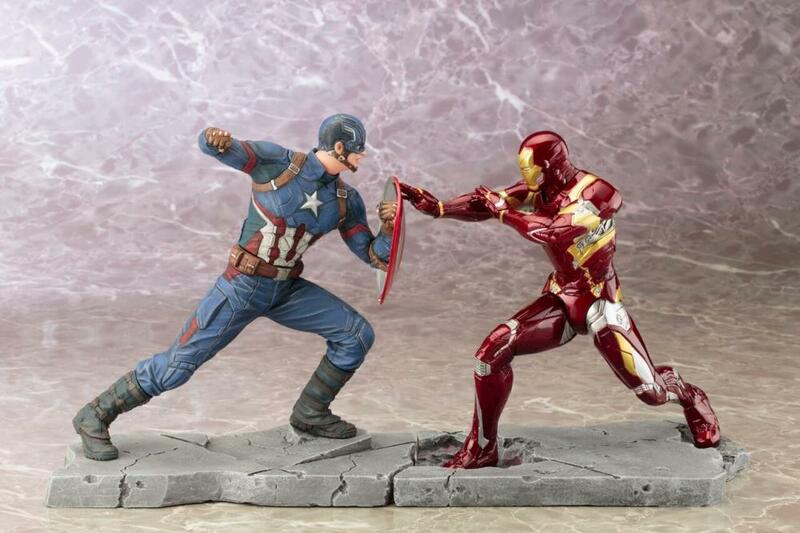 Pose him with the Iron Man Mark 46 ARTFX+ Statue for the ultimate Captain America: Civil War battle scene!